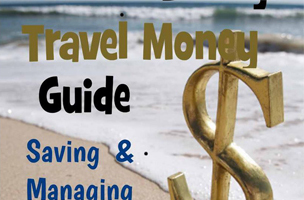 Today’s free eBook is Travel Money Guide: Dollars, Rupiah & Sense by Elisabeth Sowerbutts. The no-nonsense budget traveler’s book offer non-pretensious tips from Sowerbutt’s 30 years of international travel – with a sense of humor. TRAVEL MONEY TIPS for anyone who wants their travel dollar to go further. Want to travel the world, but don’t think you are rich enough? In this book a life-long traveler will show you how to travel further, for longer, for less. sometimes much less, money than you’d ever imagine. Learn how to set a realistic budget for your next trip, and learn the single most important factor that determines your trip’s price tag (Hint: it’s not the quality of your hotels or the length of your trip). Once on the road, this book describes how to best setup your financial life to manage your money while you travel.It also covers tips and tricks to minimize those pesky transaction fees that your bank like to charge, just because you want to use your own money overseas! The last third of the book the author shares her favorite tricks and tips developed over 30 years of travel: tips to save money on everything from accommodation to sightseeing. Travel Money Guide: Dollars, Rupiah & Sense is available as a free download on Amazon from 06/24/2014 – 06/28/2014. As of this writing, the book has an average of 4.2 out of 5 stars from 10 customer reviews. For more free eBooks, check out our 10 Websites to Download Free eBooks list, as well as our Free eBook of the Day archive, previously on Appnewser.